("The Palestinians don't fight the Israelis because they are antisemitic, anti-white, anti-western, or any other such thing. The Israeli historian Benny Morris summed up the conflict in terms of the dispossession and displacement of the Palestinians from their lands. When one strips away from the conflict all the propaganda and the myths that surround it, that is what remains"...). The photo is by Anthony Loewenstein. His new book, My Israel Question, is available here. The Israeli government says it plans to build 700 new homes in two settlement blocs in the occupied West Bank. 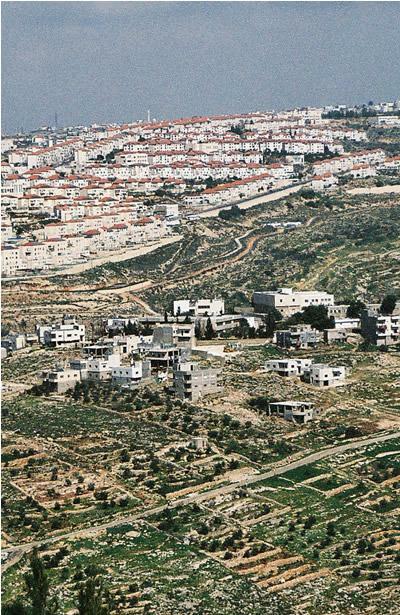 Adverts published in Israeli newspapers invite bids for work in Maale Adumim just outside east Jerusalem and Beitar Illit to the south, near Bethlehem. It is the biggest expansion of Jewish settlements to be announced since the government came to office in May.